Isabella enjoys doing everything with me – cleaning, eating, brushing teeth and playing. She probably plays with pretend food more than eat real food. Learning Resources kindly sent us the New Sprouts Picnic Set to review, and Isabella had such a blast with it! As always, I am a fan at the colors that Learning Resources uses for their educational toys. They are so vivid and really encourage children to gravitate towards them. This is the perfect toy to give to a child for their birthday or any other special occasion! You can purchase the New Sprouts Picnic Set from Learning Resources for $24.99! Stay connected with Learning Resources via Facebook, Twitter, Pinterest and YouTube. 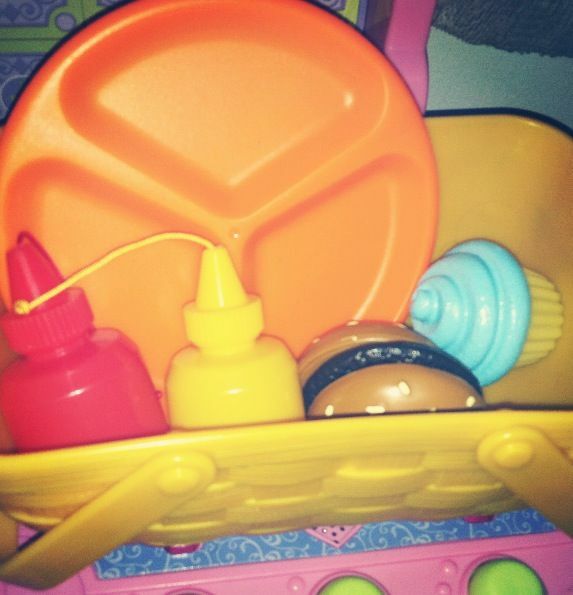 My daughter loves play food, so I would love to have the Pretend & Play® Healthy Lunch Set! I would also love to have the New Sprouts Breakfast Basket!! Smart Snacks Alpha Pops look like an absolute great idea! 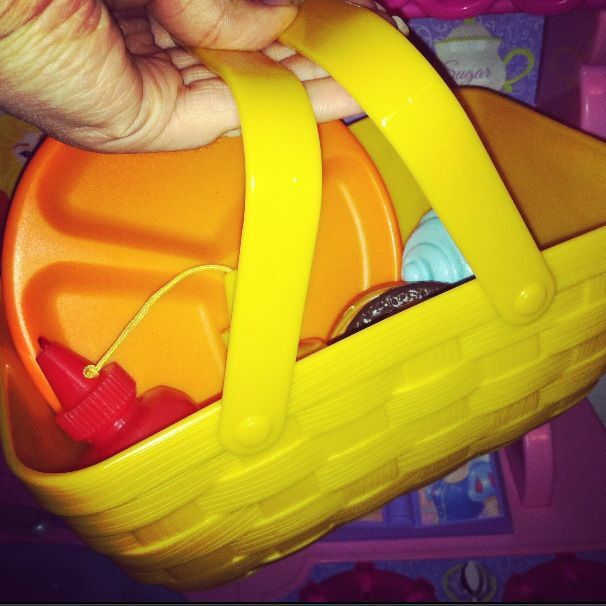 I really want this picnic basket because my nephew and niece love playing kithen. Yes please for my granddaughters!! I love the New Sprouts™ Deluxe Market Set! I’d love the Smart Snacks Counting Cookies! I like the Primary Science Sensory Tubes! The Magnetic Elapsed Time Set looks fun and interesting! I’d also love the New Sprouts™ Ring It Up Cash Register – My very own cash register! I would love to have the Gears! Gears! Gears!® Super Set. I like the glo-Pane™ Ultra-Slim Light Panel. I like the Froggy Feeding Fun for four year olds and the cash register money teacher. I like the cupcake and pizza sets. Along with pretty much everything else on the site. The Jumbo endangered animals would be have fun to have. Think Big Science™ Life Science Game for my grandson. I also like the Gears! Gears! Gears!® Lights & Action Building Set. Even Miracles Take a Little Time! ANNOUNCEMENT!